I have admired Aarti Verma's creativity and designs for quite some time now. Today I am delighted to feature her new collection on MDC :) Aarti is the talent and brain behind Art Meets Fashion. 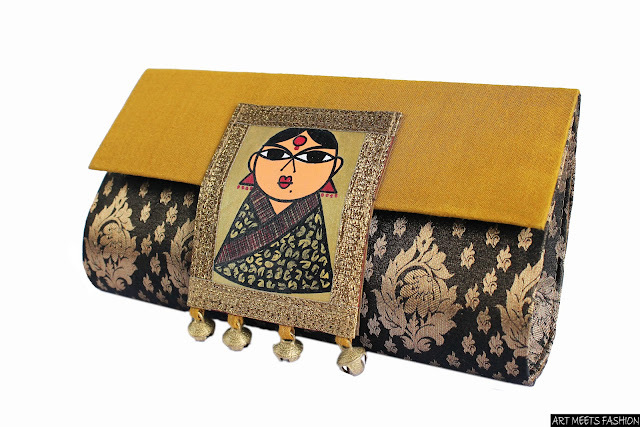 Art Meets Fashion is an independent label which creates hand painted and handcrafted fashion and home decor accessories. In Aarti words " I aspire to create designs that are not merely products but can be tagged as a piece of Art." 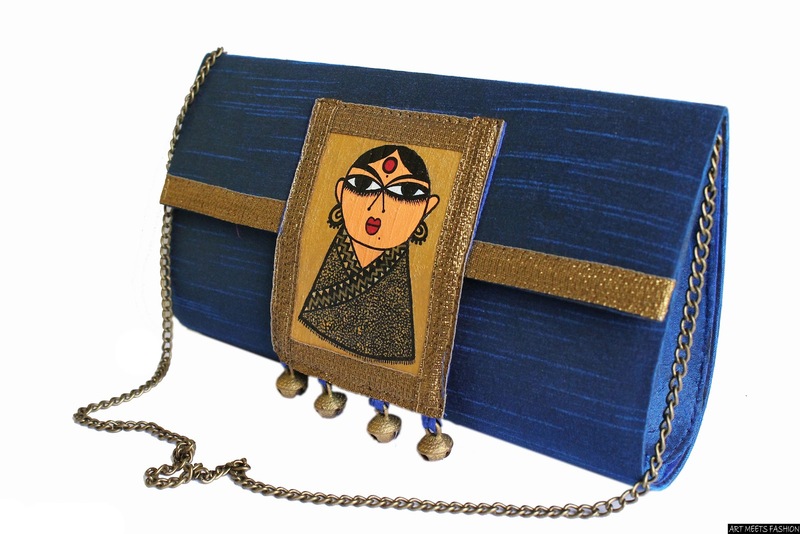 Aarti loves the entire process of designing her bags, from working on the theme, fabric sourcing, color selection and everything else related to the design process. Have been a follower of Aarti's work for quite some time.. She is simply great !! !